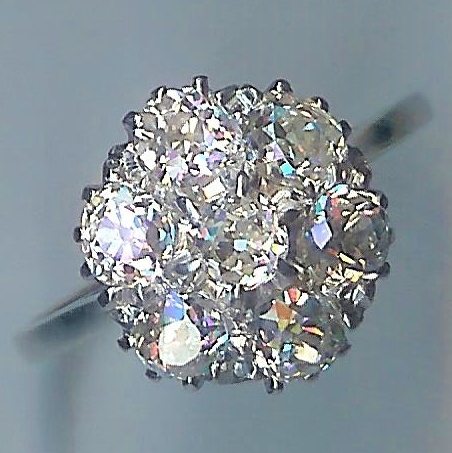 Adorable 1920's Pearl and Diamond 3-Stone Ring [SH6991] - £650.00 : loveVintageDiamonds.com, Your Vintage Diamond Dreams Come True! 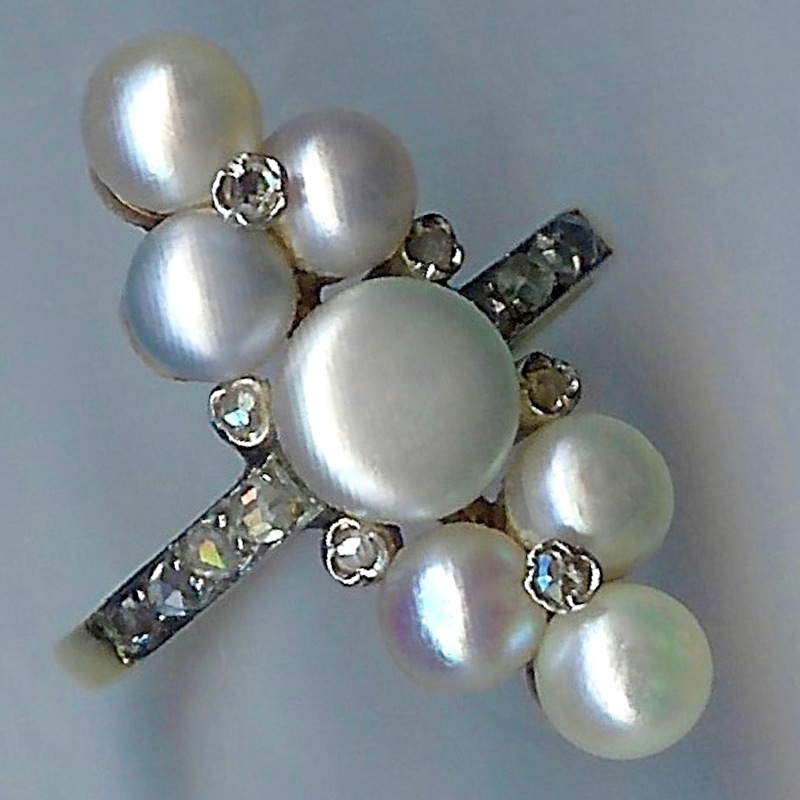 Adorable 1920's Pearl and Diamond 3-Stone Ring. 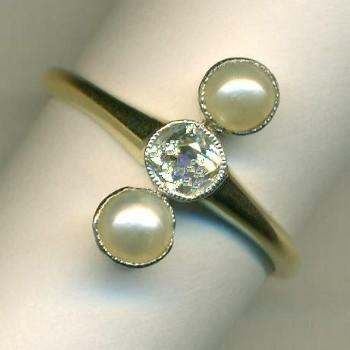 Really lovely ring, set with 2 white pearls and an old-cut diamond in white collet-settings with a yellow shank and under-bezel. 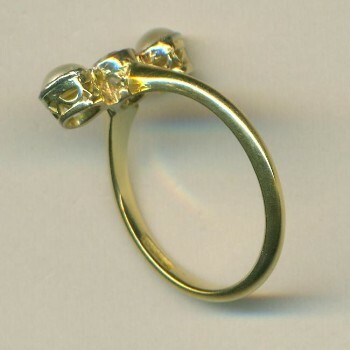 The overall weight of the ring is 2.5grams, currently fits finger size ' L ' (UK).